As I write this, they just stopped play at the PGA championship. Bad weather is moving in to the area. The course appears to be easier than everyone thought it would be. Although, Ian Baker-Finch said the rough was thicker than Donald Trump’s hair. If it rains on the course, it’s probably going to be even easier for these guys. Since we have a bit of a break before the action starts again, I thought I would drop you a line with a special gift..
Before the gift, I wanted to go over my prediction of Tiger Woods NOT winning the PGA. Tiger played great overall, but struggled on the 18th hole and made a double. I NEVER count Tiger out though. And we saw Kohki Idoki get off to a fast start! What a story this guy is… winning the 2013 Senior PGA Championship. Currently, he is tied for 12th place and sitting at -2 through 14 holes. I am rooting for Kohki. Hit reply and let me know who you are rooting for this week? Let’s not forget Jim Furyk, getting up there in age, but in FANTASTIC shape. He went on a birdie frenzie on the front AND back nine! 3 birdies on the front. 3 birdies on the back. …are you as fresh on hole 15 as you are on the #1 tee? That’s OK, I have a gift today that will help improve your situation. …their backs ache (probably from carrying the load from their gambling partners). …and basically losing the round on the back 9. 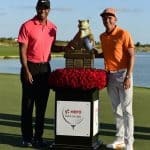 A strong and powerful core is great and all… but I would bet a million that endurance is EQUALLY as important to Tiger, Phil, and Furyk. Furyk made 3 birdies on the front, and 3 birdies on the back. How often do you do that? Not very often I am guessing. 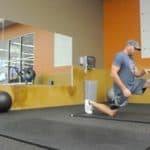 So… I thought I would give you a full workout frommy new Endurance Builders workouts that you can plug in to Core to Score. 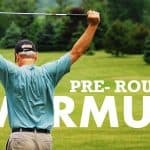 This workout is guaranteed to improve your endurance over the last nine holes. Simply plug the following workout (or any Endurance Builder workout) into the Core to Score Enduranceday for more variety. And now that Endurance Builder workout? You may replace your existing Core to Score Workout C with the following workout. circuit, then repeat. Take breaks as needed. $39 or $49 but haven’t come to a final decision yet. Most of the feedback I have received is from people who can’t believe they are getting over 300 pages of workouts and content for this price. Click here now to secure Core to Score for just $19.